"The bulk of the migrants who are arriving here cannot be integrated." — Heinz Buschkowsky, former mayor of Berlin's Neukölln district. As the consequences of unrestrained migration become apparent, the tide of public opinion is turning against the government's open-door policy. Observers say that German Chancellor Angela Merkel, the so-called most powerful woman in the world, may have met her Waterloo. 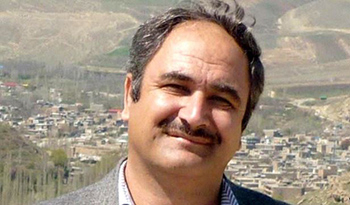 "In Iran, the Revolutionary Guards arrested my brother in a house church. I fled from the Iranian secret service because I thought that in Germany I could finally live my faith without persecution. But in the refugee shelter, I cannot admit that I am a Christian, or I would face threats. "Muslims wake me before the crack of dawn during Ramadan and say that I should eat before sunrise. When I decline, they call me a kuffar, an unbeliever. They spit at me. They treat me like an animal. They threaten to kill me." At a refugee shelter in Hemer, a town in North Rhine-Westphalia, 10 Algerian asylum seekers attacked a Christian couple from Eritrea with glass bottles. The Muslims said they were angry that the man was wearing a cross. They ripped the cross from his neck and stole his money and cellphone. Die Welt also interviewed an Iraqi Christian family from Mosul who were living at a refugee shelter in the Bavarian town of Freising. The father said that threats by Islamists were a daily fact of life. "They shouted at my wife and hit my child," he said. "They say: 'We will kill you and drink your blood.'" Life in the shelter, he said, was as if in a prison. According to the director of the Munich-based Central Committee for Oriental Christians, Simon Jacob, these incidents are only "the tip of the iceberg." "The actual number of attacks is very high," he said. "We have to expect further conflict, which the migrants bring to Germany from their homelands. Between Christians and Muslims. Between Shiites and Sunnis. Between Kurds and extremists. Between Yazidis and extremists." "We have to dispense with the illusion that all of those who are coming here are human rights activists. Among those who are arriving here now, a substantial number are at least as religiously intense as the Muslim Brotherhood. "We are getting reports of threats of aggression, including threats of beheading, by Sunnis against Shiites, but Yazidis and Christians are the most impacted. Those Christian converts who do not hide their faith stand a 100% probability of being attacked and mobbed." "Sunnis are fighting Shiites, there are Salafists from competing groups. They are trying to impose their rules in the shelters. Christians are being massively oppressed and the Sharia is being enforced. Women are forced to cover up. Men are forced to pray. Islamists want to introduce their values and order at the shelters. Wendt gave the interview days after 300 Albanian migrants clashed with 70 Pakistani migrants at a refugee shelter in Calden, a town in the state of Hesse, on September 27. More than a dozen people, including three police officers, were injured in the melee, which erupted after two migrants got into a fight while waiting in line at the canteen. It took 50 police officers several hours to restore order at the shelter, which is home to 1,500 migrants from 20 different countries. More than 60 migrants, including ten children, were injured after Pakistanis and Syrians clashed at the same shelter on September 13. The fight broke out just after midnight, when someone sprayed mace into a tent filled with sleeping migrants. Police did not inform the public about the fight for more than a week, apparently to prevent fueling anti-immigrant sentiments. Violent brawls are becoming commonplace at German refugee shelters across the country. On September 30, migrants went on a rampage at a refugee center in Braunschweig, a city in Lower Saxony. On September 29, Syrian migrants clashed at a refugee shelter in Gerolzhofen, a small town in Bavaria. Also on September 29, migrants from Algeria and Mali clashed at a refugee center in Engelskirchen, a town in North Rhine-Westphalia. On September 28, more than 150 Syrians and Pakistanis clashed at a refugee shelter on Nöthnitzer Straße in Dresden. The migrants attacked each other with wooden planks and metal bars. Two dozen police officers were needed to restore order. More than 30 Syrians and Pakistanis clashed at the same shelter on August 10. Also on September 28, between 100 and 150 migrants of different nationalities clashed at a refugee shelter in Donaueschingen, a town in the Black Forest. The trouble started over a dispute about who should be able to use the shower facilities first. On September 22, more than 400 migrants marched through town to protest conditions at the same facility. On September 15, a male migrant was attacked by another migrant for using a female bathroom at the shelter. On September 24, around 100 Syrians and Afghans clashed at a refugee shelter in Leipzig, the largest city in Saxony. The fight broke out after a 17-year-old Afghan pulled a knife on an 11-year-old Syrian girl at the shelter, which houses 1,800 migrants. On September 23, migrants clashed at a refugee shelter for unaccompanied minors in Nuremberg. On September 3, Syrian migrants attacked security guards at a refugee shelter in the Moabit district of Berlin. Also on September 3, Iraqi migrants attacked security guards at a refugee shelter in Heidelberg. A total of 21 squad cars were dispatched to restore order. On September 2, Algerian and Tunisian migrants clashed at the same shelter. A dozen police cars were deployed to restore order. On September 3, migrants clashed at a refugee shelter in Hövelhof, a town in North Rhine-Westphalia. On September 2, migrants clashed at a refugee facility in Wolgast, a town in Mecklenburg-Vorpommern. Also on September 2, migrants clashed at a refugee center in Gütersloh, a town in North Rhine-Westphalia. On September 1, migrants clashed at a refugee shelter in Delitzsch, a town in Saxony. A 27-year-old Tunisian migrant was killed after being stabbed by a 27-year-old migrant from Morocco. Also on September 1, a 15-year-old Somali migrant stabbed a 15-year-old Egyptian migrant with a scissors at a refugee center in the Groß Borstel district of Hamburg. On September 1, Somali, Syrian and Albanian migrants clashed at a refugee center in Tegernsee, a small town in Bavaria. Also on September 1, migrants clashed at a refugee shelter in Heidelberg. On August 31, Libyan and Tunisian migrants clashed at a refugee shelter in Hoyerswerda, a town in Saxony. Also on August 31, migrants clashed with each other and with security guards at a refugee shelter in Heidelberg. On August 30, a 25-year-old Sudanese migrant was arrested for going on a rampage at a refugee shelter in Jesteburg, a small town in Lower Saxony. On August 29, a 17-year-old Algerian migrant was arrested for robbing the cellphones of other migrants at a refugee center in Elzach, a town in Baden-Württemberg. On August 25, 60 migrants went on a rampage at a refugee shelter in Karlsruhe. On August 24, a migrant from Montenegro was stabbed by a migrant from Algeria at a refugee shelter in Seevetal, a town in Lower Saxony. On August 22, Afghan migrants clashed at a refugee shelter in Rotenburg, a town in Hesse. Also on August 22, at least 20 migrants went on a rampage at a refugee center in Grafing, a town near Munich. On August 21, migrants clashed at a refugee facility in Schwetzingen, also in Baden-Württemberg. Also on August 21, migrants clashed at a refugee center in the Marienthal district of Hamburg. On August 16, 50 migrants attacked each other with broken tree branches, umbrellas and trash cans at a refugee center in Friedland, a town in Lower Saxony. The facility, which has a capacity of 700, is home to 2,400 migrants. On August 19, at least 20 Syrian migrants staying at an overcrowded refugee shelter in the eastern German town of Suhl tried to lynch an Afghan migrant after he tore pages from a Koran and threw them in a toilet. More than 100 police officers intervened; they were attacked with stones and concrete blocks. Seventeen people were injured in the melee, including 11 refugees and six police officers. The Afghan is now under police protection. The president of the German state of Thuringia, Bodo Ramelow, said that to avoid similar violence in the future, Muslims of different nationalities must be separated. On August 10, 40 migrants clashed at a refugee shelter on Bremer Straße in Dresden. On August 1, 50 Syrians and Afghans clashed at the same shelter. More than 80 police officers were needed to restore order. "Our officers are increasingly being called to respond to confrontations in refugee shelters. When there are 4,000 people in a shelter which only has space for 750, this leads to aggression where even something as insignificant as a walk to the restroom can lead to fisticuffs. "We must do everything we can to prevent further outbreaks of violence. I think it makes perfect sense to separate migrants according to their religion." Not everyone agrees. In an interview with N24 television, the former mayor of the Neukölln district of Berlin, Heinz Buschkowsky, warned that if migrants are separated by religion and nationality, Germany risks the permanent establishment of parallel societies throughout the country. Buschkowsky said the first lesson migrants must learn when they arrive in Western countries is tolerance, and if they refuse to accept people of other faiths, their asylum applications should be rejected. He expressed pessimism about the possibility of integrating the current wave of migrants into German society: "The bulk of the migrants who are arriving here cannot be integrated." The editor of the newspaper Neue Westfälische, Ansgar Mönter, reports that Salafists in Bielefeld, a city in North Rhine-Westphalia, have already infiltrated refugee centers in the area by bringing toys, fruits and vegetables for the migrants. Mönter says "naïve" politicians are contributing to the radicalization of refugees by are asking Muslim umbrella groups in the country to reach out to the migrants. Mönter points out that the main Muslim groups in Germany all adhere to fundamentalist interpretations of Islam and are anti-Western in outlook. Some groups have ties to the Muslim Brotherhood while others want to implement Sharia law in Germany. According to Mönter, politicians should not be encouraging these groups to establish contact with the new migrants. It is increasingly difficult to get objective news on the "refugee crisis" that has not devolved into statist propaganda, with photos of families with small children to influence the reader. Having lived in many places both in and outside of the US, I am well aware of the limitations of integrating different cultures. Here in the US we are accepting a large number of these migrants to be dispersed across the country though nowhere near the amount of Germany. Some will settle here in Texas. I chuckle cynically to myself at the thought of any man informing any Texas woman "me man, you woman, I go first" in a grocery checkout line...or being informed that their women folk will not be allowed to speak with someone "unclean". I am sure this will provoke an explosive verbal reaction that would be well warranted. If their opinion of women is so strongly negative, I do not know how they expect to receive the "entitlements" to which they feel so entitled as the majority of processing employees in all social services are female. Here and across Europe, integration classes should be compulsory, and refusal to do so should be followed by expulsion. Committing crimes and participating in organized criminal enterprises that consist of even minor level crimes should be grounds for expulsion as well. I don't know the percentage that would result, but it is worth considering. Albert Einstein gave us the definition of stupidity. It sounded like this: a stupid man is somebody who tries time and time again the same thing hoping everytime for a different result.This is Angela Merkel. I have read this and cannot say I am surprised, as increasingly you hear or read tales of violence against anyone who is not Muslim and I mean fanatical Muslims. I have Muslim friends who are disgusted with these tales and something needs to be done and quick to stop this rot, because it will impact us all and sooner than we would like to think. I do not care what race or religion anyone is... if they need a bed and respected my religion regardless that it wasn't theirs, I would give them food and a bed gladly. But this someone needs to stop it now send them back whence they came and pronto, no messing people must be protected from this fanaticalism and quick. Note how many different nationalities are involved in these incidents and the fact that most of them are NOT from Syria but from Pakistan, Morocco, Tunisia, Algeria, Montenegro etc., these are not war torn countries. We are being taken for fools. Well in that case they should be given their own land in Germany, their own State within a state, clear out Bavaria for example for them, for the sake of peace. That is the European demand of Israel, is it not? When is Germany going to get tough with the thugs who are parading around as "immigrants" ? German authorities need to agree that these scum should be warned in their own language if anyone of them starts a fight, they will be shot dead. No negotiation! No compromise! There is either order or chaos. Germany must impose order over all immigrants. End of story. Will the German authorities allow the Christian refugees out of the camps if Christian families offer to house them? The churches can spread the word and get all the Christians out of there before they are harmed. I bet none of you readers and commenters realize that this article could not appear anywhere in the German web, not to mention the comments. I am in Munich now, and the censorship one experiences on a daily basis makes one think of 1939, same fanaticism, different direction. The worst is that it is not just the schizophrenic politicians, but the regular citizens that have fallen under the spell again. This will not end well. True to an extent: Die Welt and the FAZ manage to print some critical articles. I also live in Germany. More people than you think probably think exactly like you, that this is madness, but dare not to say so due to the left wing controlled media. However, dissent is growing also amongst the politicians. Email the government and politicians. Now they say they expect 1.5 Million refugee applicants alone 2015, plus relatives. Time that the German citizens are asked: do you want this? Instead of being dictated to by Merkel and Gabriel! Time to openly voice dissent peacefully. Rarely if ever do I read of a problem that will massively effect the future of Europe and her people: the 'brain drain'. It's taking place in Europe by those who look into the future, do not like what they see so vote with their feet and emigrate. We Europeans have been on the receiving end of forced multiculturalism brought to us by left wing ideologues and considering the dross that's been piled sky high upon us, we demand a halt to this insufferable and intolerant idealism that in simple terms does not work. Our towns and cities have been fiscally ravaged by the burden we are expected to bear for those who wouldn't work to warm themselves, by our daughters tormented on the streets by sexually backward men and by the insane amount of children produced that further adds to the fiscal/housing/medical shortages we are forced to endure. There are already more than enough refugees here, 72% of them young men who ran away instead of staying to fight for their country, yet expect the sons and daughters of the Western world to do just that for them? I accept that women, kids and the elderly should be taken in for the duration to keep them safe then returned home post war, but to take in young cowards that now live off the progress made by Europe through centuries of hard work and innovation is a gross insult to us. We neither want or need these people, so why is it they cannot be forced to return and help their homeland. follow the blueprint of success crafted by European countries, free of charge, and build countries they would then be proud to live in? All this and I haven't even mentioned the economic migrants who ride the coattails of the Syrian war to gain access to Europe: Pakistanis, Nigerians, Chinese and other assorted nationalities who somehow manage to buy Syrian passports to gain entrée to Europe, swearing they are in fact Syrian, no joke. In conclusion, I want a Europe where we are free to conduct ourselves in a manner that is distinctly European. Little has been brought to the continent by the millions who came from some of the biggest hell-holes on earth, yet they now demand we must descend to their unevolved cultural level or the big bad racist word is dusted off, dragged out and thrown at us. I for one have had enough and will not accept another minute of it. Where would England be today if her people had run away during the Blitz? Where would Israel stand had her people not stood firm post WW2 and never built a country? And where O where would America be had her people stayed on their knees and allowed Mad George to continue to dominate them? Nowhere, that's where. Enough. Why should we give and give and give? We work for what the West has achieved and now the left want to give it all away and make us feel guilty to boot. A very disturbing article. Instances of intimidation etc now need to be very carefully documented, lest those with little critical faculty dismiss the claims as merely minor in scope and not being representative of the larger groups of 'refugees' as a whole. While Europe is over-run with Muslim "refugees" it cannot accommodate, Saudi Arabia has empty air-conditioned accommodation erected for 3 million religious pilgrims. Saudi Arabia has just taken the chair for the UNHRC, however it takes no "refugees" from Islamic nations and finances the building mosques throughout the West. Why are Western leaders are so blinded by their own politically correct beliefs that they cannot join the dots on these events? It is obvious to any thinking person that the current mass movement of people is an Islamic invasion of the West. As the children of this Islamic invasion use the West's social benefit systems to breed up the numbers and ultimately assume the demographic majority throughout the West over the next 30 years, everything the West represented will be gone. The politically correct EU governments will be seen by history to be responsible for our grand children living under Sharia Law. I've lost quite a few friends over my views of the refugee crisis. I have said, since Day One, that the violence in the Middle East will come with them, that they will bring nothing but their grievances and hate. My friends were all "I'm disappointed you think like that," and variations of "Aww, how could you be so mean?" I watch videos and read stories posted by actual citizens of European countries, and I can't help but feel World War 3 is under way. It doesn't seem to have crossed anybody's mind that maybe, just maybe, Gaddfi, Hussein, and Bashar Al-Assad *have* to be tyrants in order to keep groups like Taliban, ISIS etc, from forming in the first place. They have to be more frightening, more terrifying, than ISIS simply to put so much fear into those groups that they don't dare do anything. Look what's happened since we got those tyrants out of power, and how many crazies have seemingly come out of nowhere. Those refugees are single-minded where their religion is concerned. They don't *want* to evolve, they want to stay as they are, and they want to drag everyone else into their crazy mindset. You can't argue with somebody who is willing to die for their beliefs, you simply can't, and that's just the way it is. One of my friends from Denmark had her story go a little bit viral the other week, about how Somali men are threatening Danish women on a daily basis. The Somalis are calling them whores, saying they can't be there, and attacks are on a very steep incline right now as the Somali men try to impose their religious ways. Friends like that you can safely forget, they are not worthy of the title "friend". You are right about the Islamic dictators, they have to be tyrants to keep the various factions from each other's throats. Islam does not want or admire democracy, Allah and Muhammad trump everything. Assad is an Alawite, a minority in Syria, yet he kept the peace and other minorities, Christians etc., were relatively safe. The West should have seen this from the outset but what is the agenda of the West?. Obviously not what should be the most obvious. I can't believe that this behavior would be tolerated by any German. If they can't behave in the shelters then this is the future. How sad that the Germany we all know and love will never be the same. You cannot integrate these people because they don't want to be integrated. They just want to take over. When you come to stay at my house you follow my rules and respect my way of doing things or I throw you OUT! The so-called refugees that determine that they can impose Sharia and persecute those of other religions or just not as "Muslim" as they are in countries that have given them refuge should be shipped back to where they came from. It is madness to think that people who cannot even wait until they are in permanent accommodation before they start persecuting others in the name of their religion will ever integrate. If they get to stay in European countries they will simply attach themselves to existing radical elements and become an internal terror force and try to turn the countries they have entered into hell-holes like the ones they claim that they are escaping from. They are fakes and Europe should ship them back at the first sign of trouble. This will not happen of course as European countries are suffering from a sin caused disease called Multicultural Madness that has them believing that you can integrate Islam into secular or Christian society. Not to worry though, the Pope and Obama will probably appear with an answer, a new world order with a one world religion under Allah. Well sorry folks that's not for me, as for me and my family we will serve the Lord Jesus Christ. Punish all the troublemakers by putting them on a plane to Damascus! I keep in mind that the Nazis, who murdered millions of Jews, etc were active members of Christian churches. In Cambodia, the genocidal butchers were Buddhists as they are in Burma where Moslems are the victims. And so it goes. Religion groups people but has never stopped them from committing crimes against their fellow humans. "Buschkowsky said the first lesson migrants must learn when they arrive in Western countries is tolerance, and if they refuse to accept people of other faiths, their asylum applications should be rejected. He expressed pessimism about the possibility of integrating the current wave of migrants into German society: "The bulk of the migrants who are arriving here cannot be integrated." "
"Mönter points out that the main Muslim groups in Germany all adhere to fundamentalist interpretations of Islam and are anti-Western in outlook. Some groups have ties to the Muslim Brotherhood while others want to implement Sharia law in Germany. According to Mönter, politicians should not be encouraging these groups to establish contact with the new migrants." These two points say it all really. Is there even a realistic solution to this worsening disaster short of Martial Law and the outlawing of Sharia? How come the people committing these crimes are not put in prison then deported? This is proof that they're not "refugees" but an invading army intent on getting rid of Christianity. Europe, you must wake up or this will be the future. Europe, your first and last obligation is to your people. Europe owes the "refugees" nothing and the "refugees" have nothing to offer Europe. We receive many fine articles from Gatestone rightly listing dozens of reports of radical Muslims, who are not genuine refugees, causing havoc, followed by remarks by police and others. But never do we read any comments by Angela Merkel or her advisers. What does she think. Has she changed her mind about her 'open door' policy? Will she deport the rapists and anti-westerners,etc.? Please, Gatestone, if you know, do tell us. I am just a person living in Germany. Angela Merkel has correctly cited the constitution when she said that there is no upper limit to the right of asylum in the German Constitution (otherwise prosecution by constitutional court). However, no state is required to do more than it can, and Germany has overreached its limits. The housing conditions are partly worse than in refugee camps in Turkey etc and winter is coming. But no, Merkel refuses to qualify by "factual limitation", despite desperate calls from many politicians and communal politicians. She sits in Berlin far away. And no, only if an asylum seeker is convicted to more than 3 years jail sentence then this will be taken into account in his/her application, so no they are not sent back. But then only 2% of illegals are sent back in practice. It's unbelievable. Problem we have is that the Upper House is controlled by SPD/green governed states so that good proposals keep on being hijacked. Latest poll this week shows Merkel only has support of 40 something %, most Germans are not happy with the government. In fact, many incl. myself am furious. Merkel and Sigmar Gabriel (big coalition) has betrayed the German people, and also the real refugees -- a small intake with good quality integration help and much more help directly in Jordan etc would be less costly and much more effective. But no, Merkel wants the Nobel Peace Prize or UN presidency. 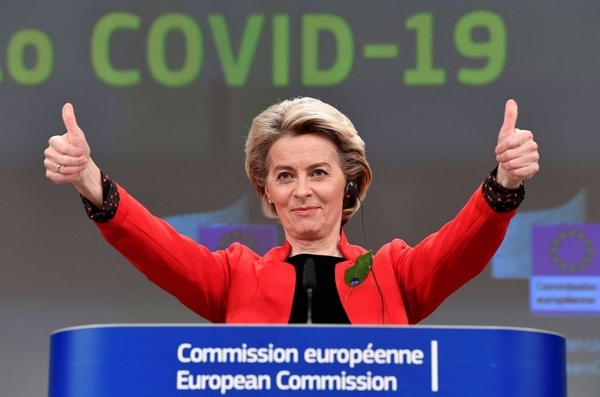 As far as I am concerned she can become president of Syria -- she has utterly ignored German interests -- ie democracy, freedom of speech and brought untold problems to this country. I will not vote for her again. If you are causing violence in country that is not yours, I say, DEPORT THEM BACK! Regretfully, Shia and Sunni seem unable to live together themselves and treat minorities of other religions very badly everywhere they have control and try to take control even where they are in the minority. An example of this can be seen in Cyprus and the demands for Sharia throughout Europe. Why do the authorities not recognise this will put the whole of the European Union in jeopardy within the next decade or two? If history were different and say the White races sought refuge in Africa in the same numbers as are now coming to Europe, do you think the Zulu's, Tutsi, Ebo's or other tribes of Africa would just accept this as a fait accompli like we are being asked too? The German people are very generous to invite these people into their country. It would seem that if you are invited into a person's house one should respect their rules. Think about this, these people already are unhappy and want the Germans to change. Riots have occurred between religions caused by Muslims. Mark my worlds, Germany is crazy to think that most of these asylum seekers will assimilate. As a former US immigration lawyer for Moslems and others, I will share my knowledge and experience as follows: Most of the immigrants I saw were decent people who wanted to start a new and better life for themselves and their families. A relatively small percentage wanted to perpetuate what they allegedly fled from which was oppression, discrimination and intolerance from fellow Moslems. Islam is divided into sects and tribes, which too often hate each other like the Hatfields and the McCoys. So, to put different sects and tribes together in a Refugee Center is like mixing highly flammable substances with some matches. This is precisely what the Middle East is all about and this is what Europe will need to contend with. Unless, there is serious rethinking of how Moslem immigrants are dealt with and how Islam is dealt with, Europe can easily find itself involved in sectarian warfare, which eventually will become Islam against the Western culture, which has resulted in a Middle East that is becoming devoid of Christians who are either killed, converted or chased out. This is the experience and knowledge of a former immigration practitioner for Moslems around the US. In short, believing that Moslems as a community are interested in integrating into Western society is an absurd and unrealistic fantasy and not based on reality or experience. All I can say is we warned our leaders and told them so! The beginning of the end of Western civilisation, the greatest civilisation that ever existed. And back to year zero? Again Soeren Kern gives us a reality picture of the new "colonists "in Germany. Reading this it makes one wonder what the German Gov. thought of allowing those poor, devastated, victims of war & economics would show to the hosts for hospitality largesse. Well, according to the above article exactly what was to be expected, ingratitude, intolerance, aggressiveness, demands and it will be getting worse. These "colonists" have be thrown at the populace at large whilst the politicians & bleeding hearts live in safety. Germany will have to learn what "Lebensraum" is about. They will not be able to do what they did to a productive Jew by murdering him, these poor immigrants no sooner would take over and show the German who is in charge. So instead of escaping ethnic conflict outside Europe, the so-called refugees are reproducing it inside Europe. Those whom the god's destroy, Merkel first makes mad. You can forget about visiting Germany any time soon. Tourism will come to an end just out of fear of being robbed, attacked, hurt, or killed at the hands of these new future citizens. My concern is how long will the average German on the street accept the ruination of their country? How long do you think it will be for the everyday German to wish for a return of the Nazi era of Race Politics to emerge? Slowly, the average German who is footing this enormous bill, will take sides and unfortunately it will be to the right of Angela Merkel's view of a multi-cultural Germany. Germany is finished as a country as long as these so-called refugees are present. The best economy in Europe will wither away causing more grief for the German people. If Germany fails, all of Europe will fail. The noble experiment in democracy will also fail and in its place will be a new fascism. Please support us in Eastern Europe, the last mohicans and guardians of Occidental, European culture and traditions. Octoberfest was a washout in 2015 already due to migrants and it will just get worse as in future it will attract the new criminal migrant pickpockets/muggers en masse each year -- tourists will just stop going. 'Made in Germany' will now just mean assembled by uneducated Arab or African migrants -- no better than manufacturing anywhere else, so that label just lost its traditional market value in competitive export sector. Germany is finished -- its leaders don't value 'ethnic' German heritage, but that DNA is valuable, it has survived hundreds of thousands of years and is optimised for survival in that terrain and climate -- cold climates require optimal social organisation for stored food supplies and shelter and that is what euro DNA has focused on for millennia, and that focus generated most of technology we take for granted today. "Ishmael is a wild man; his hand against every man." Why do the followers of Islam fight each other the same brutality as they do the "infidels"? A simple answer comes in the pathology of violence, learned from childhood,about "supremacy." "Supremacy" thinking has its one major flaw: whenever you lack what another has, you are a "victim" in some form, because it is the only explanation for one having something that you lack. Being inherently "superior" (my brand of Islam is better than yours), the ideology leads by victim mentality, and will attack first infidels, but as the migrants show us at the most opportune time: when they should be supporting one another during a time of life crisis, it is the very time they attack one another. Now European police are admitting that they must separate Muslim from Muslim; no longer just saving the Christians from the violent Muslims. Once the "infidel" is removed, the Islamist attacks his fellow Islamist. Our foreign policy under Barak Obama has been waffling between deciding which Islamic group to back over which. Al Quada, once a dreaded name, is now seen in a better light as "ISIS" (or for Obama, "ISIL") being the "bad" Islam. For 1400 years, the supremacist psychology has been consistent in its behavior, and once drilled into children, including the subjugation of women, no amount of "economic" support changes it, as we have seen how many middle class and upper middle class join ISIS from around the globe. This should posted and followed through with no waiting period at all refugee centers: Notice: You are now on German soil and will follow its laws. If you fail to do so, or if you are found to have started or have partaken in any form of disturbance/attack on any other human being, you WILL be automatically deported upon review of the said event. So after a few decades of peace and prosperity following World War 2, the European establishment has condemned each and every one of us, our children and grandchildren to a future of insecurity, violence, never ending conflict and finally the end of our race itself. Why? For God's sake WHY?? I am giving you some good advice. Leave Germany, get your family out, immigrate to either the US, Canada or Australia, there are too many US citizens who don't want Muslims or Islam in this country including several of the folks running for President of the US, one of them is Dr. Carson when he was attacked by the media for objecting to shariah law and from what I have seen the media in Germany is guilty of doing the very same thing. After two world wars with disastrous results and millions of deaths (not counting the Holocaust), it looks like the Germans are getting "bored" again. That is what happens when one wants others to do their work for them. Letting in tens of thousands of migrants -- people with different values, different religions, and different habits -- people who rarely integrate and are extremely intolerant and hateful to each other IS INSANE!!! Don't the Germans (or Europeans in general) ever learn any lessons from their past? Watch out AMERICA you are next in line. Thank you Soeren Kern and Gatestone. Hanna, it's not the Germans -- its the head of government which is acting against the will of the majority of the people. Our press is too often censored -- leftist. Petitions are being signed to get rid of Angela Merkel, and her party colleagues are openly dissenting. So no, this is just Merkel and Sigmar Gabriel dictatorship type policy, AGAINST the will of the people. Merkel has gone crazy. So now we see the rise and rise of migrant mafias, flourishing in the through-the-looking-glass world that Frau Merkel and her allies have created. 'O brave new world, that has such people in it'. From 'The Tempest'; a tempest now threatens Europe's cohesion, stability and future. Maybe this way Europe and especially Germany will realise what sort of people these 'refugees' are and may come to realise that Israel's complaints about Islamic abuse and non- cooperation are well founded. No, I fear they will not "...come to realise that Israel's complaints about Islamic abuse and non-cooperation are well founded." They, and by this I don't mean just Germany, but Europe in general, are out of luck because they don't seem to be able to blame this mess on Israel. But I am sure many will try to find a way. By the way, for readers who are unfamiliar with the Hebrew slang term 'balagan', it means mess, confusion, disorder and so on. There is a sickening sense of inevitability to this all. Thank God I never carried through a plan to move to Germany. These people invade seeking tolerance (especially religious tolerance) and charity because they cannot handle life in their own countries, or so the media tells us. Yet no sooner do they arrive, then they start seeking to turn Germany into a country like the one they ran away from! They exhibit a total lack of tolerance and humanity to the very people upon whose charity they plan to feed. It's like that wasp that lays its eggs in the caterpillar, which is then eaten alive by the wasp pupa. Sort of like the caterpillar expecting gratitude.